As part of the Church’s efforts to become as inclusive to those with the condition as possible, congregations across the country have been working tirelessly to improve access to their buildings and services. Here, we mark World Alzheimer Day with just a few examples of some of the fantastic work being done. Springburn Parish Church’s Musical Memories group were one of only three projects in Scotland shortlisted for the ‘Best Dementia Friendly Community Initiative’ at Scotland’s Dementia Awards on 20 September. "Musical Memories is the jewel in the crown of what we do in Springburn when it comes to looking after the care of, not only of those diagnosed with dementia but also those who are living with it as carers. “The group started as a grassroots group and has grown into something amazing. 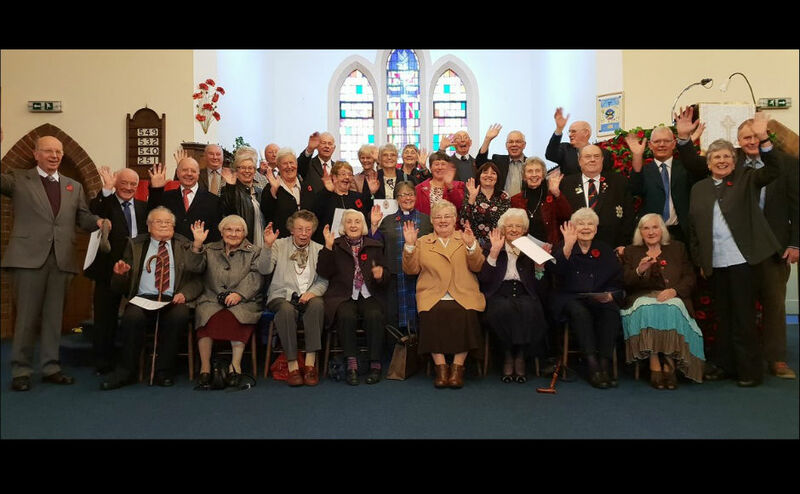 Modelled on Alzheimer Scotland’s ‘singing for the brain’ initiative and part-funded by the Church of Scotland’s Go For It fund, the group was set up in August 2016 and is now run by 13 volunteers and two musicians. Participants from four local care homes take part each Monday afternoon at Springburn Parish Church. With themed events taking place throughout the year, Musical Memories revolves around singing, and also encourages gentle movement and dancing. The idea of ‘singing for the brain’ was brought about due to research showing that the part of the brain that stores melody (the auditory cortex) tends to remain less damaged than others by various types of dementia. It means that participants are easily able to recall familiar melodies from years gone by. St Margaret’s Parish Church was honoured with the ‘Dementia Friendly Glenrothes’ award from Alzheimer Scotland earlier this month for their work in improving their building’s accessibility and signage, as well as investing time in becoming trained as Dementia Friends. Rev Eileen Miller, the minister at St Margaret’s Parish Church, spoke of how important it is to be able to serve everyone in her parish. “It seemed obvious that a busy church should make the small but targeted changes necessary to allow those living with dementia to find their way into and around the building with confidence”, she said. Every Monday afternoon the congregation of Forfar East and Old hosts a music café that brings around 40-50 people together to sing their hearts out. A mix of old hymns, Scottish songs and well-known tunes from musicals are sung. The weekly group provides an opportunity for people dealing with dementia, as well as their partners, families and carers, to come together to join in song and meet new friends. 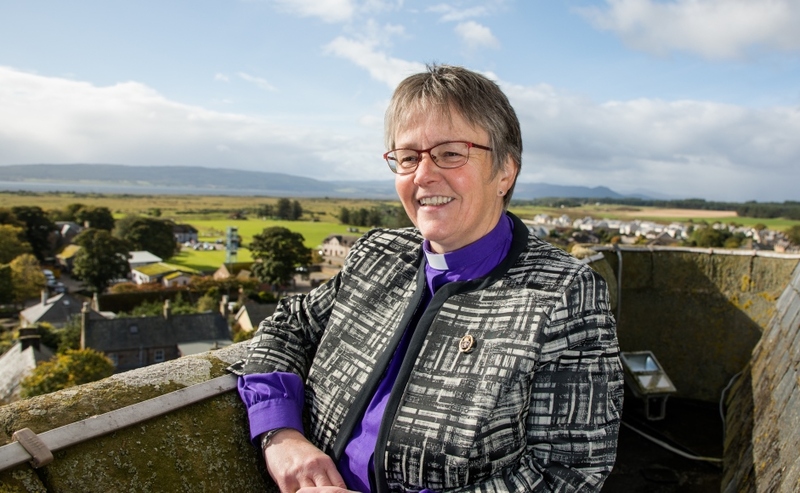 “It gives people with dementia a very caring environment where they can feel safe,” said Rev Barbara Ann Sweetin, who started the music café when she began her ministry at Forfar East and Old. “They come with their carers and there is singing, talking and a safe place to share those old memories that they all have. It is really good to see people come alive and enjoy themselves in good company. Dementia is an umbrella term for a range of illnesses and disease symptoms, which primarily or secondarily affect the brain. Alzheimer’s disease and vascular dementia are the most frequently occurring illnesses. Mearns Kirk in Glasgow set up a weekly Thursday lunch club for those who have been diagnosed with dementia. The club is run by a team of volunteers and offers a friendly, safe environment where individuals can enjoy a light lunch of soup and sandwiches. After lunch, participants can chat, read newspapers and magazines, and do activities such as card making, painting, knitting and crochet. The afternoon then ends with afternoon tea, home baking and music. Friendship and companionship are paramount for both members and their carers, providing them with a stimulating and supportive environment. 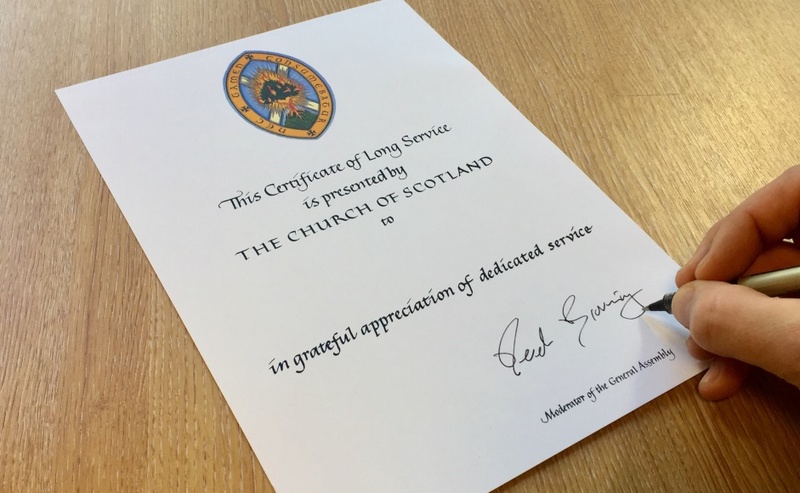 The Church of Scotland’s Social Care Council, CrossReach, provides services such as Heart for Art and Playlist for Life to those with dementia. Launched in 2012, Heart for Art has brought joy to participants for the past six years. Community group sessions are run all over Scotland (from Kirkcudbright to Stonehaven) with the assistance of art tutors and have been found to stimulate conversation, aid concentration and even improve memory retention. Family members of those with dementia are also able to speak to a CrossReach Dementia Ambassador throughout the session, as well as taking part in the activities alongside their relatives. Dementia Ambassadors are available in every one of the CrossReach care homes and services for older people. These staff members have enhanced skills and knowledge in dementia care. Their role is to promote best practice, support colleagues and provide a point of contact for families and carers of people living with dementia. Playlist for Life is a charity initiative which was set up by writer and broadcaster Sally Magnusson in 2013, after the death of her mother who developed dementia. 67% of people with dementia are female. The concept for the charity was drawn from the same research behind ‘singing for the brain’, with Sally realising that, no matter how lost their mother was in the disease, her family were still able to reach her with familiar songs from her life. The charity encourages people with dementia and their families to create musical playlists which are meaningful to them, and listen back to the music together with families or carers. PlayList for Life is integrated into the services of various CrossReach care centres and individual church groups across Scotland. Find your nearest help point or your nearest care home. You can also try the idea out for yourself by using these useful tools and guides and downloading the Playlist For Life phone app. Stirling Presbytery was the first presbytery to appoint a designated dementia coordinator, Bonnie McDowell, in June 2017, offering support to local parishes on how to make their church buildings, people and activities more dementia friendly. "Within the environment there are many things which can cause stress and distress [to those with dementia], such as signs which can be confusing. "The aim is to minimise these challenges - it can become a reason people stop going out. "For activities it's about doing things with people, not to them, and working with old memories. "One of the underpinning themes is working in ways so everyone knows that they're unique, precious and valued and always will be." Feeling inspired to set up your own dementia friendly church group? Churches feeling inspired to set up, or further develop, their own dementia friendly group can look into getting support from the Go For It fund. Go For It aims to encourage creative ways of working, which develop the life and mission of the local church and are transformative for both communities and congregations. Go For It provides small, main or continuation grants for either short-term or long-term projects. A free helpful guide to making church buildings more dementia friendly (PDF file) written by Professor June Andrews is available for church groups to download. Statistics used within this article were sourced from Alzheimer Scotland.